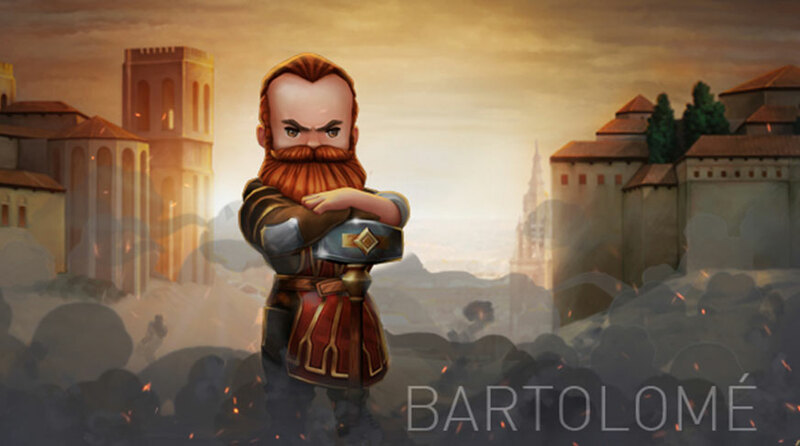 Bartolomé Ortiz was a master blacksmith during the Renaissance, renowned throughout Spain for creating the highest quality weapons from the finest Toledo steel. Bartolomé Ortiz was a master blacksmith during the Renaissance, renowned throughout Spain for creating the highest quality weapons from the finest Toledo steel. His great size, strength and penchant for wine earned him a reputation as loudmouth. However, underneath his boorish, muscled exterior, Ortiz was a kind-hearted man who took great pride in, and accountability for, the weapons he created. It anguished him to see the Inquisition soldiers using his steel to oppress the disenfranchised people of Toledo. As a result, he agreed to go into business with his best friend Diego, and give up making weapons for all time. His retirement was premature thanks to the Inquisition, who executed Diego for trying to protect an innocent young girl they were harassing. Outraged by his loss, Ortiz joined the Assassins to lend them his strength, and to create weapons they could use to avenge his friend.